Price is based on estimated adult size and quality . An Arizona State Licensed Veterinarian will weigh the puppy at 7 weeks of age during the scheduled Complete Health Examination. and based on a current accepted weight chart , will put the estimated adult size on the health Certificate. This is an estimate. We can not guarantee that the puppy will be that size it is just an estimate. It is what we will base the Price on . BELOW IS A VERY SPECIAL ... 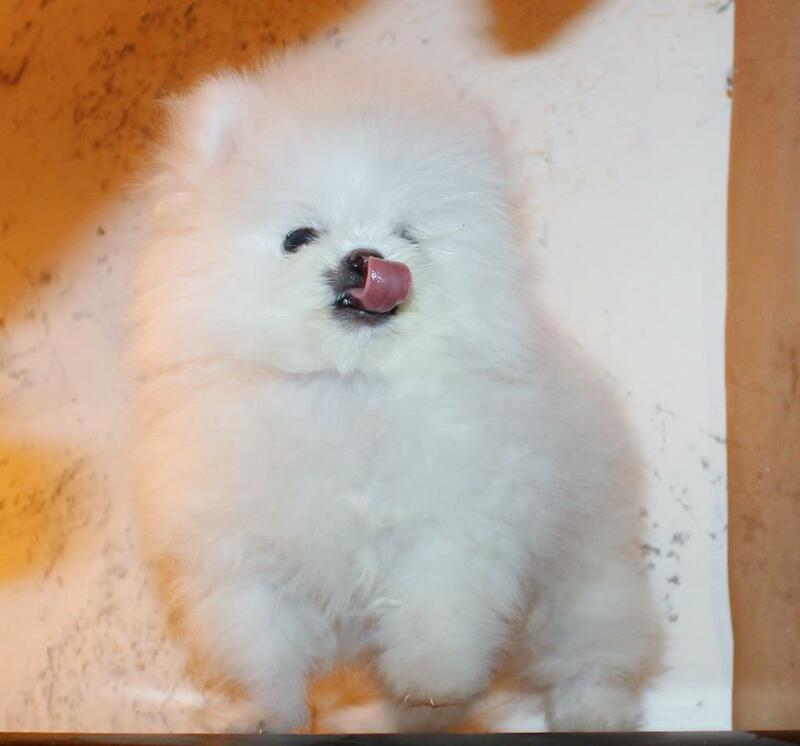 EXTRA SMALL ICE WHITE MALE OUT OF ICEE AND ANGEL. .
BELOW IS A CLIP OF CRISTY . SHE IS OUT OF PRINCESS AND ICEE . SHE IS ICE WHITE. 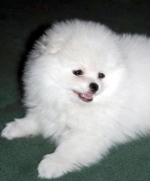 AT 6 WEEKS OLD THIS PUPPY WEIGHED 27 OUNCES BY THE TIME SHE WAS 10 WEEKS OLD SHE WEIGHED 38 OUNCES OR 2. POINT 6 POUNDS . BELOW IS CASH MAN . HE GREW UP TO BE 8 POUNDS . IN FACT THE ONLY TIME I GET THIS COLOR IS WHEN I BREED ICEE TO AN OUTSIDE FEMALE THAT CARRIES A BROWN GENE. NONE OF MY GIRLS CARRY A BROWN GENE . In the movie below is a Ice White Baby and a creamy white baby who turned CREME as an adult ..... THE ICE WHITE IS A SMALL FEMALE.